Take care of business with the innovative Jackal. Unusual styling includes an aluminum shaft with a ribbed, 80/20 tungsten barrel. This dart is a real workhorse! 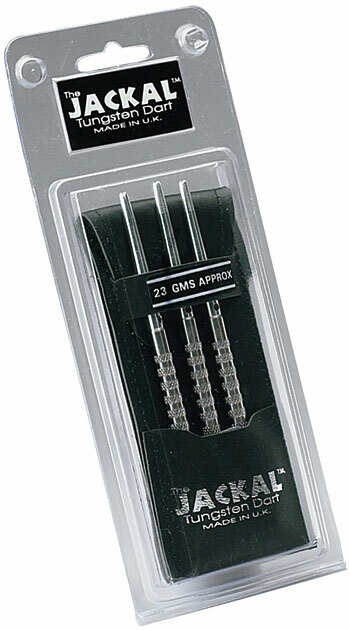 The beginner player will appreciated the no-frills, no-fuss styling of this great starter dart. 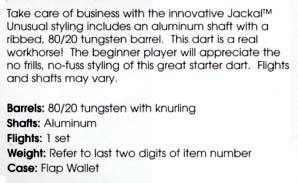 This is one of the Original Tungsten Darts! Comes in a Flap Wallet.